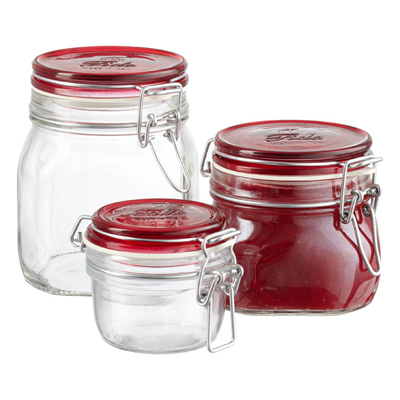 These traditional Glass Hermetic Storage Jars have airtight bail & seal closures to hermetically seal out air and moisture. From freezer to countertop, use them for dry, fresh or leftover foods. They’re also great as gift containers for homemade delicacies. $4.99-$7.99. Buy here.